Abdom Updates: How do you fix Diastasis Recti? 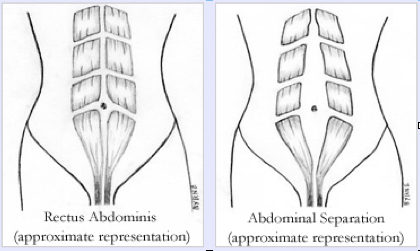 How do you fix Diastasis Recti? When someone asks, "What is diastasis recti?" I usually respond with a very simplified version of, "it's when your abdominal muscles separate to make room for a baby but don't fully come back together again." After delivering my first child via Caesarian, I began to exercise as soon as I could. Even though the rest of my body was becoming toned and "bouncing back", my stomach seemed to look more pregnant. I finally heard about diastasis recti and realized I was doing exercises that made me look even more pregnant because my core wasn't able to engage properly. My stomach muscles were becoming stronger but the connective tissue that brings them together was still separated. The smaller the rest of my body was, the larger my pooch looked. Not cool. Yes. I used several Belly Bandits after my final pregnancy. I started with an extra large and got down to a medium within 2 months. It helped me recover from my C-section quicker and helped me avoid the awful back pain I had after my first C-section. Although it was helpful, it didn't "cure" my diastasis recti. Yes. They made my skin feel silky smooth, but it did nothing for my muscles or excess skin. To be fair, they aren't meant to help with muscles or excess skin in the first place. Yes. It helped me build my back and leg muscles, but I wasn't able to fully use my core because my abdominal muscles remained separated. There are some exercises and poses to engage traverse abs that I think helped. "I heard about this thing called the tupler method. Did you try it?" "I heard about someone that just walked everyday for a year and she looks great now. She had twins and you can't even tell! Have you tried just walking?" "Could you just stop eating dairy?" "Are you sure you're not pregnant again?" I tried every non-surgical approach I could find on the internet. Most women with a smaller separation can see some correction with one or more of these alternatives. Unfortunately, my extreme separation can only be repaired with surgery. My abdominal separation was 4 fingers wide at its worst. I got it down to 3 fingers wide with some of these non-surgical approaches. Its frustrating that surgery is my only option, but I'm grateful I can have other needed procedures completed at the same time. "Wait, what other procedures are you having done?" My large pregnancies not only led to my diastasis recti, they also led to my umbilical hernia and excess skin. 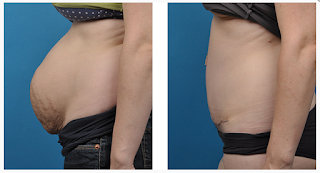 Thankfully, all three of these conditions can be repaired in one procedure: an abdominoplasty. 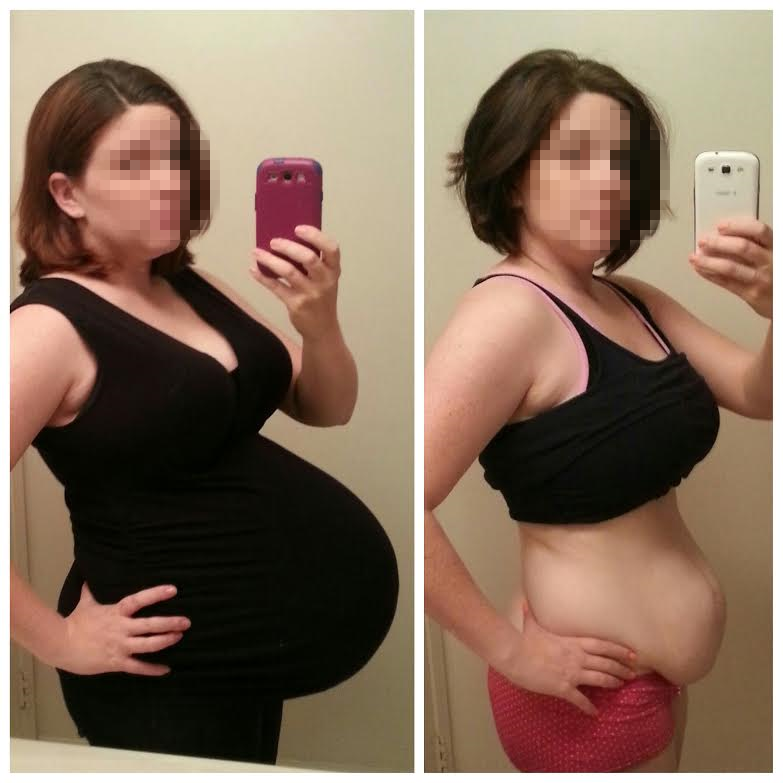 This is a "before and after" of a patient with diastasis recti and umbilical hernia. "Is diastasis recti repair covered by insurance?" Sometimes. My particular procedure is not. "But a hernia sounds serious. Are you sure insurance won't cover it?" It's a bit more complicated than that. 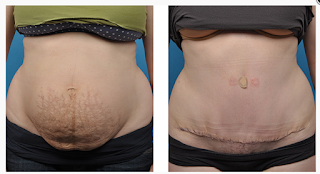 Because all three procedures are included in my abdominoplasty, I'm paying one big price instead of divvying it out among the different procedures. If I had the hernia repair covered by insurance, it would be a separate procedure by a different doctor within my general practice. A separate procedure also means I'd have to take additional time off of work. In the end, it saves us time and money to include the hernia repair within this procedure. "How much is this all going to cost?" Here's a breakdown of all of the costs I'll be facing. We're essentially paying 3 groups of people: the plastic surgeon's practice, the hospital, and the anesthesiologist's practice. I'm also purchasing special bras and stomach bindings for my recovery, medications, new clothes, supportive back pillows, etc. I'm less than a month away from my abdominoplasty. Words can't express how excited I am to finally have this "shell" corrected and removed. Stumbled across this while looking further into it. I also have the exact same things after having 2 babies :( My mom doesn't even understand and says "do this and that,walk up stairs" yeah that hasn't helped me. I'd love to be able to have this procedure done but am too poor lol. Hope everything is good now.